We believe the tutors that are available to assist our students on our RYA Online courses and our MCA Online courses, are a major reason for our success. We have been teaching online courses for many years and have a wealth of Navigational and Seamanship experience on both small craft and large ocean going vessels. For exceptional guidance in any of our RYA/MCA Online Courses you will not get better professionalism than with Ocean Training Online. We pride ourselves with 1 to 1 tutor support via e-mail and Skype. We do not just give you an automatic reply to your work (unlike some of our competitors) but your tutor wil respond with the detailed progress of your assignments as you progress. Has been navigating since the age of 15 when he joined BP Tanker Co. Ltd as a Navigating Cadet. Learned navigation and seamanship during his 3 year cadetship by an early distance learning course while at sea. Served on 11 ocean going tankers with BP and attained the rank of First Officer. Then served as Navigating Officer/Aircraft Coordinator with the Meteorological Office-Ocean Weather Service in the North Atlantic - once experiencing 120 foot waves! Saw the World at an early age. Then became an Air Traffic Controller at Heathrow, Gatwick, Bournemouth, Stansted, Belfast and Manchester. Holds a Private Pilots Licence. Began teachig RYA Shorebased courses by evening class in the early 1970s. A wealth of large and small craft navigation experience. Loves every aspect of Sea and Air Navigation. Attained an Open University degree by Distance Learning. Married with 2 grown up children and 5 grandchildren. 30 continuous years' service in the Royal Navy as a Warfare and Diving specialist which included Navigating Officer, Second-in-Command of a Frigate, Captain of a 400tonne Minesweeper and 10 years as a Trainer. 10 years as Operations Training Manager for the RNLI responsible for training Coxwains and crew members to operate state of the art 25kt All Weather lifeboats for Search and Rescue missions. 10 years as self-employed consultant and Senior Tutor for Ocean Training with special responsibility for RNLI liaison. RYA shore-based and practical Yachtmaster Offshore Instructor. Previous career as deck officer in merchant navy. 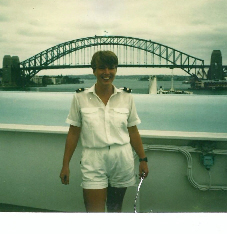 Commenced career as cadet with New Zealand Shipping Company in 1970 - sailed worldwide as navigating officer for many years thereafter on variety of cargo vessels within the P&O group. Last 25 years with HM Coastguard in Search and Rescue operations and training roles. A qualified trainer and Associate member of the Chartered Institute of Personnel Development (CIPD), with many years experience in training and examining maritime subjects including navigation, communications, meteorology and nautical knowledge. HMCG Class 2 (RHIB) power boat instructor & examiner. Current role MCA (HMCG) Training Manager, responsible for training & examination of all UK Coastguard officers. Have owned & skippered various shapes and sizes of sailing & power vessels over the years. Began seafaring career as a dual cadet on oil and gas tankers training to qualify as OOW for both deck and engine disciplines. Then worked her way up through ranks sailing as junior engineer and deck officer gaining both Class 2 qualifications. After time as Chief Officer to gain sea time and experience completed Masters ticket in 2001. Since then have enjoyed the satisfaction of drydock and newbuild experiences. Has received the Victoria Drummond Award for being the first woman to attain qualifications in both disciplines. Additionally recognised with a Queens Commendation for Bravery as a result of her actions taken when M.S. Isomeria was boarded by armed robbers in Brazil in 1998. In recent years she has been a distance learning student completing a degree whilst raising a young family. Served as Navigator and Operations Officer in the Royal Fleet Auxiliary, (Merchant Navy) with active service during the Falklands conflict. 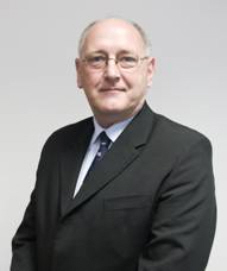 In 1984 he joined the Royal National Lifeboat Institution as Inspector of lifeboats. 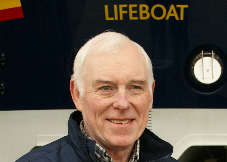 In more recent years Peter has run the RNLI trials and development section, Prevention "Sea Safety" programmes and has managed the RNLI operational requirements for Radio Communications and ICT with responsibility for delivery of major projects. 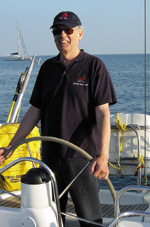 Peter currently works as a freelance Maritime and Business Consultant and as a volunteer with the RNLI"
Principal and proprietor of Hobo Yachting for 20 years plus, an RYA Recognised seaschool offering the full range of RYA Theory and Practical courses in the Solent and France and the Channel Islands. A wealth of experience in small boat navigation in tidal and non tidal (mediterranean) waters, multiple Biscay crossings in 12 metre sailing yachts. A career in commercial sailing of nearly 30 years with previous experience as an RAF navigation officer specialising in Radar.